The house of Champagne Ayala was founded in 1860 in the heart of the great vineyards of the Montagne de Reims. Property of the Bollinger family since 2005, Champagne AYALA now offers some of the highest quality wines of the Champagne area, in limited volumes. AYALA is the Haute Couture" of Champagne. Freshness, purity and precision are the words that best define the AYALA style. 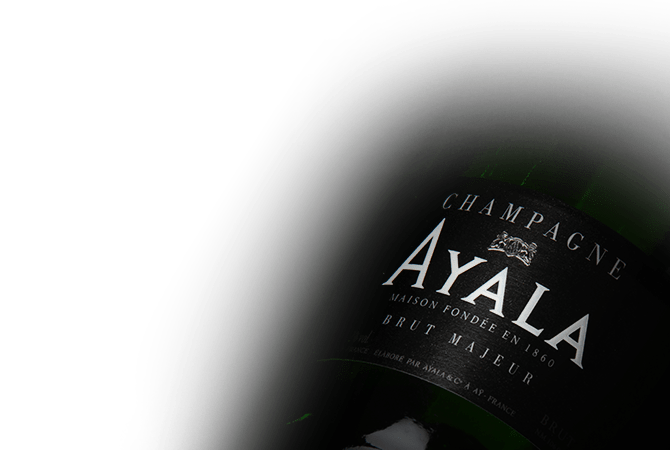 In order to help you manage your own cellar and to allow you to adapt the extra-ageing to your personal taste, the house of Champagne Ayala prints the date of disgorgement on every back label.